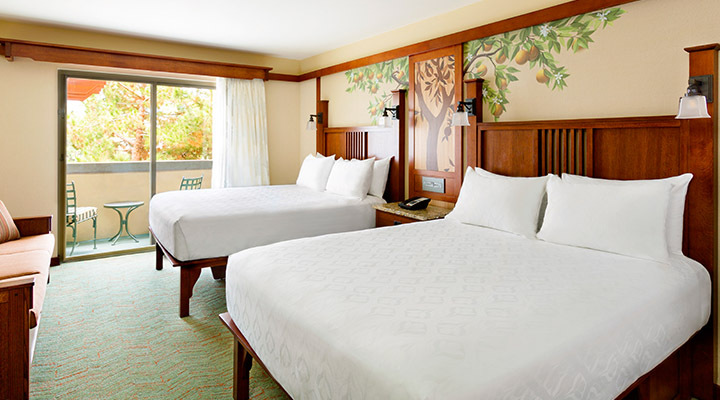 Luxury Disney hotel located inside DISNEY CALIFORNIA ADVENTURE® Park with exclusive amenities and more. Located inside DISNEY CALIFORNIA ADVENTURE® Park, you'll experience the majestic beauty of the Redwoods at DISNEY'S GRAND CALIFORNIAN HOTEL® & Spa. 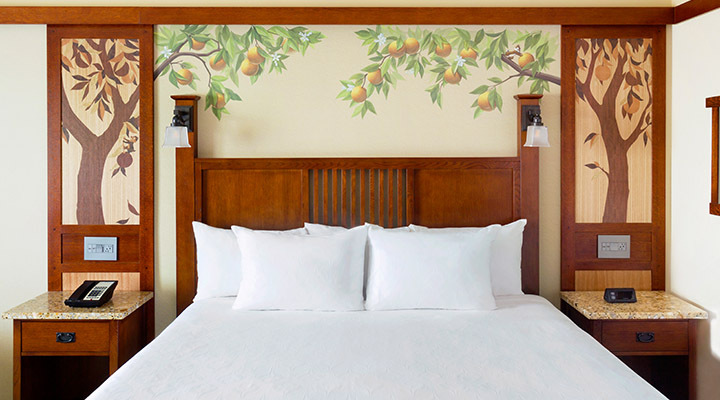 This fabulous property has it all: three themed pools, award winning restaurants, a relaxing spa and all of the special Disney touches that will make your vacation extra magical - including an exclusive entrance into DISNEY CALIFORNIA ADVENTURE® Park that comes with extra perks. Be sure to make reservations at the Storyteller’s Café for the Mickey's Tales of Adventure Character Breakfast. You'll be able to fill up with good food while meeting Mickey and friends! I must say, it is truly a better Disney vacation when you stay at a Disney hotel! Seeing all the characters and being so close to the park is amazing!! It is so great to get into the parks early every morning. The customer service was great. I had a little hiccup at the beginning with getting the right room, but they fixed it immediately and then surprised us with a little goody basket in the room. Above and beyond service! I will always stay here when I go to Disneyland! The Grand is the nicest hotel I’ve ever stayed in. The redwood theme is so homey. The immediate access to Californian Adventure is a huge benefit. There is no better place to stay while at Disney. While staying here I felt that I never left the park. This is our first Disney vacation as a family. Being from Hawaii, we don't get to come here often so I figured we'd go big and stay at a Disney Resort for the perks. 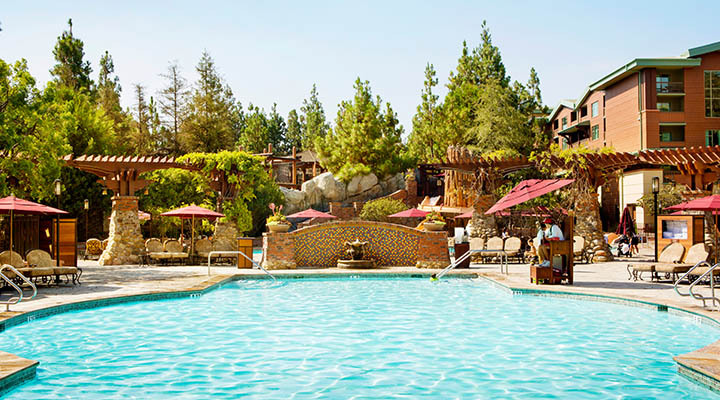 We chose to stay at the Disney Grand Californian since it was the closest of the 3 resorts and right on the parks door step. While everything was magical and all cast members hospitality went above and beyond our expectations, the sight of the construction and plastic floor covers from the elevator all the way to our room kind of killed the 5 star rating for this hotel. Also knowing they have upgraded rooms, it was kind of disappointing when they put us in a non-upgraded room but its ok we were in Disney. Only the construction sighting and floor covers stopped me from giving a 5 star rating. If possible I'd like to add I would give this hotel a 4.8 star rating. My concerns never stopped me from having a great vacation. I would recomment this hotel if you are looking for location to parks. 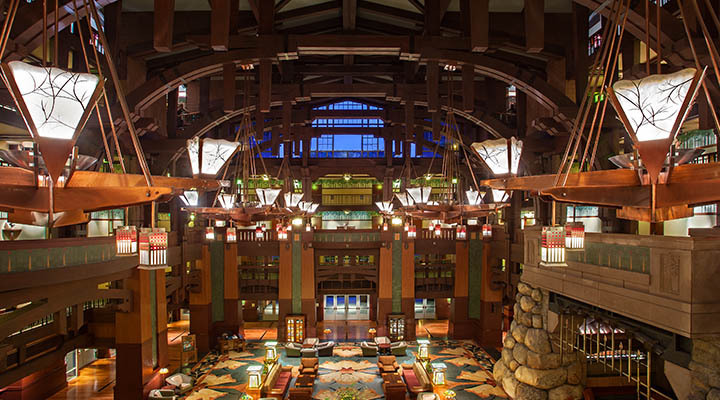 Can't get any better than the Grand Californian. I will be staying here again. This is an arts and crafts style hotel. The amenities are top notch and the decor is reminiscent of the Awahnee at Yosemite. Staying here you are paying for your very own entrance to California Adventure. The rooms are small and if you want a really relaxing chair after a long day in the park, well you will have to go down stairs and hang out in the lobby which is not a terrible option. The bunk beds are great for kids 10-4 but they gave us this option for our 14 year old and he was not too comfortable. The 9 and 8 year olds loved it. My husband and I enjoyed the Hearth Stone lounge and the little ones had a great time at Pinoccio's workshop. If you want to take a break and head back to the room for a siesta or a swim this place fits the bill. This was our first time staying in this hotel. We were there for about a week. Maybe our expectations were too high, maybe as high as the price to stay. The obvious expectation was great! Truly the most convenient place, especially with 3 children. You cannot go wrong with this hotel. The queen bed and bedding were very comfy. As well. But at the same time, with three small children the room was lacking. It was very small (1 queen with bunk beds), not enough seating for all of the people. No way to warm food in the room, and with kids, that's important, as they don't always finish their meals and I'm not about to throw food out at the price we pay for it. Not enough drawer space for 5 people. The small freezer in the room had thawed out, spoiled food from a previous guest. The trundle bed had food crumbs from who knows how many previous kids who ate in the beds. The furnishings looked dated. So, I have mixed feelings about staying here. I truly appreciated the super-convenience, but the price paid for the room you get (add on that the high price you still get charged $18/night for self-parking), in my opinion it was a disappointment. If you have the money and want the convenience and don't mind cramming 5 people into a small, ordinary, not "special", room, then it's great. But if you'd like some space, updated furnishings, seats for everyone, a microwave, then this is not worth it. The Hotel is beautiful, the lobby is a site to see. The hotel staff is very professional as always. I've stayed in all three Disneyland Hotels and have enjoyed them all. My only dislike with the Grand Californian was the room size. 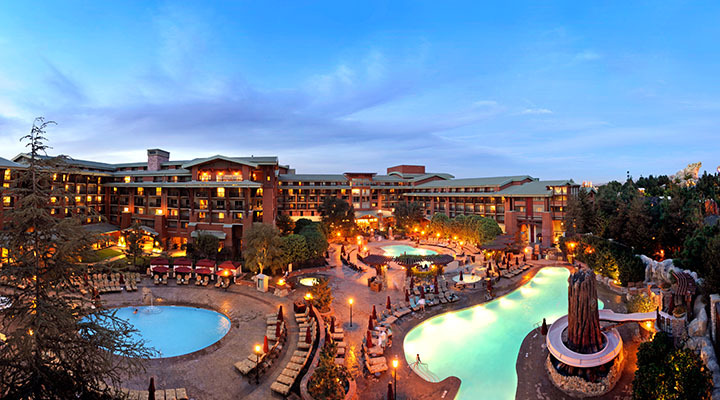 Both the Disneyland and Paradise Pier Hotels offered and bigger room at a lower price. Sure you don't get the entry to the park that comes with the Grand Californian but all three hotels get you the early entry. 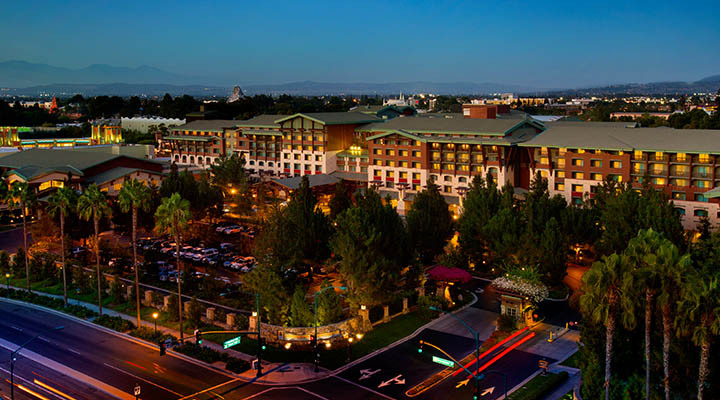 My opinion is the Disneyland Hotel is the best bang for your buck. My adult daughter and I stayed here and had a wonderful time. We loved our room with the park view, got pedicures at the spa, and had dinner at Napa Rose. We used the private entrance, which was really nice. It was a once-in-a-lifetime vacation and felt like one. I highly recommend staying at the Grand for special occasions.